The admit card is the important document which the students need to carry in the examination hall so as to appear in the exam. This official document will be issued by the official exam authority for the registered students. This hall ticket serves as the important official document and kind of entry ticket for the students. The candidate should note that the COMEDK UGET Admit Card 2019 will be available only for the short duration of time, therefore, the student should download the same soon after its release. • The official exam body will upload the admit card in the online mode and, therefore, it is also known as the online test admission ticket (TAT). • This document should be kept safe till the admission procedure is over. • For the sake of simplicity, the link to download the COMEDK UGET Hall Ticket 2019 will be published here soon. • On adding these details, the students need to find the admit card tab and click on the same so as to download the hall ticket. • The students will then have to take the print of the admit card and bring the same on the day of examination. • No test admission ticket (TAT) will be dispatched either by email or post or courier or in person to the candidate under any circumstance. • It is important for the students to know that no candidate will be allowed to appear in the exam without the printed admit card. • Do not deface, distort, mutilate or damage the admit card. It should be kept in the excellent conditions. • Any kind of tampering in the admit card may lead to the direct disqualification. • It is the duty of the student to scrutinize all the details mentioned on the COMEDK UGET Admit Card 2019. If any discrepancy is found then it is the prime duty of the student to report the problem to the official authority. 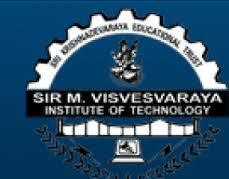 Sir M Visvesvaraya Institute of Technology established in 1986 is an engineering college situated in Karnataka. MVJ College of Engineering established in the year 1982 is a premier engineering college in Bangalore, India. Sona College of Technology is a college located in Tamil Nadu, affiliated to Anna University and approved by the All India Council for Technical Education (AICTE) of the government of India. Oxford Educational Institutions was founded in the year 1974 by S.
The School of Engineering & Technology (SET) is part of the Faculty of Engineering & Technology. Rama Nagappa Shetty Institute of Technology and Management Studies (RNSIT) is a college of engineering and technology and is located in Bangalore. Dayananda Sagar College of Engineering (DSCE), started in the year 1979, was founded by Sri R Dayananda Sagar and is run by the Mahatma Gandhi Vidya Peeta Trust today.